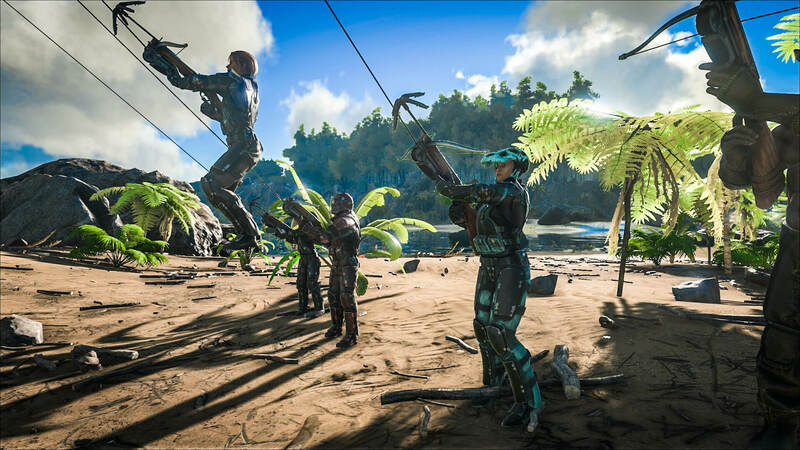 Patch v235 is planned for today (February 5) and will bring us a lot of new content, including the Terror Bird and grappling hook. Drake has released some teaser screenshots for you to see, which you can find below. One of the things that makes the Terror Bird awesome, are his tiny wings. They are too small to be able to fly with it, but you can glide instead! If you want to see how it looks, check out the spotlight video at the bottom of this post. 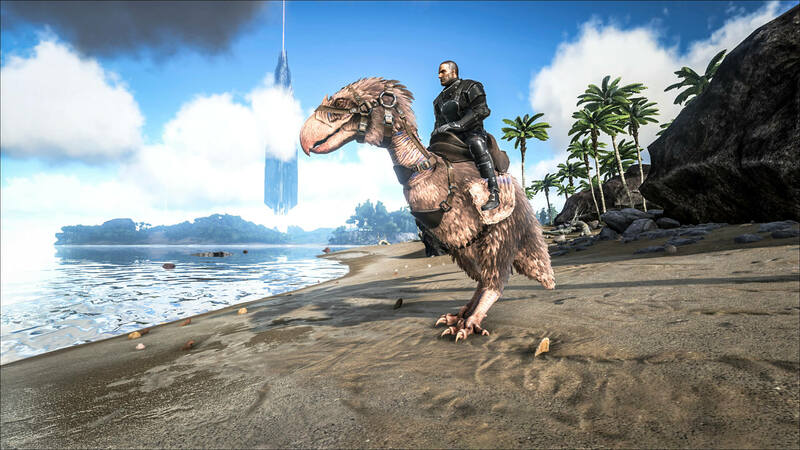 It will result in a lot of funny glides of cliffs and mountains, at least for us (now lets hope you don’t fall down half way if you run out of stamina). Cliffs or bases with high wall will no longer be a problem: just use your grappling hook to get over them! You can even hook yourself to flyers and who knows what else. We’re very hyped for the addition of this weapon, as it can drastically change the way we move around the island. Also a new aspect will be added to PvP combat, as you can drag other people around with it. looks amazing… the little flappy wings are hilarious!